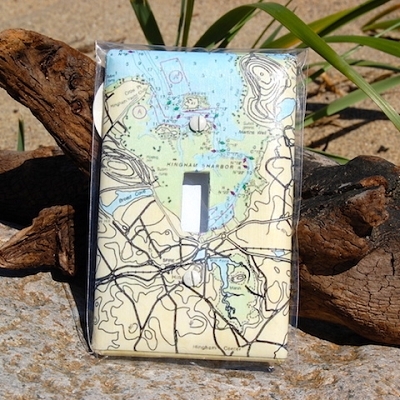 Put your favorite body of water on the wall with nautical map light switch plates. Create your own custom map or select from four featured charted locations including Martha's Vineyard, Hingham Harbor, Chatham, or Hyannis. Cover plates are available for single or double toggles and are super easy to install on standard switches! Use them in your boathouse, yacht club, and ocean themed decor! 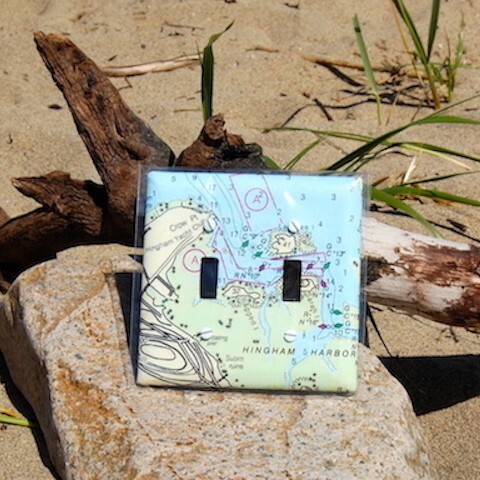 We recycle light switch plates from local contractors and have them professionally cleaned to recover and repurpose them for your aesthetic enjoyment.